For most of its 90-year history, Jaguar has focused on making cars that appeal to pipe-smoking gentlemen in tweed suits. It’s no secret that Jaguars have always emphasized style and comfort over performance. Then in 2008, something unexpected happened. Ford Motor Company decided to sell off Jaguar as part of a major company restructuring. The new buyer was none other than Tata Motors of Mumbai, India. The question must be asked: why would an Indian company seek ownership of one of Britain’s most beloved automotive marques? Let’s not forget that India was occupied as a colony of the British empire for over 300 years before finally gaining its independence in 1947. I’m sure it’s not all “water under the bridge” just yet. 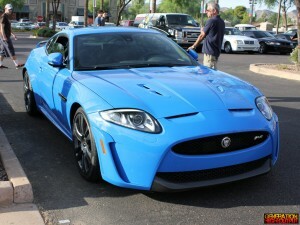 Politics aside, Tata seems to have their sights set on a new direction for Jaguar: high performance. 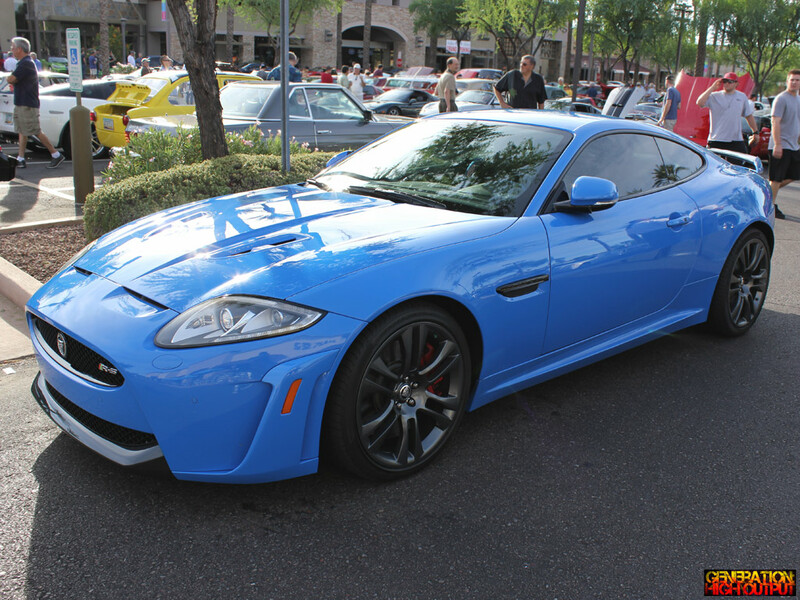 A shining example of this new company focus is the 2011 Jaguar XKR-S. Tata have taken Jaguar’s docile grand touring coupe and transformed it into a high-revving, tire-spinning track monster. 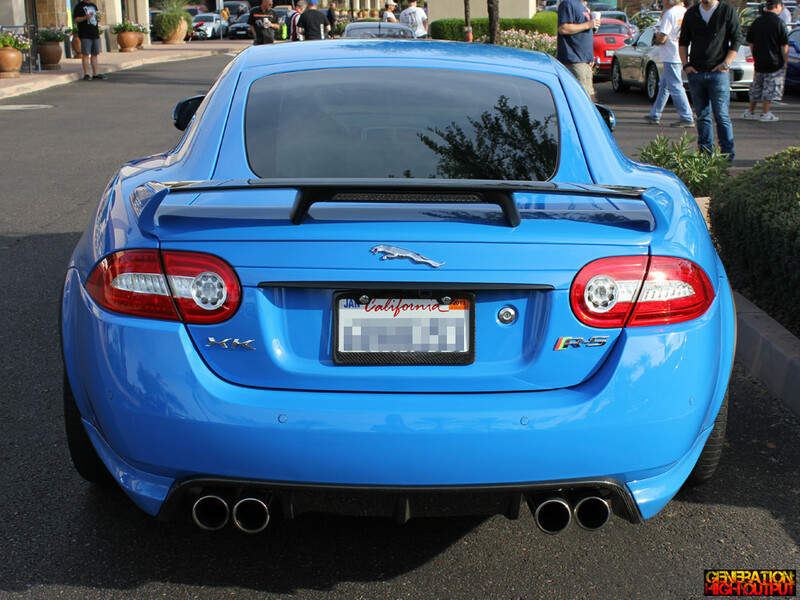 Just take one look at the XKR-S in its French Racing Blue exterior and you know it’s something special. The body is covered in vents, scoops, and grilles. The massive 20-inch Vulcan wheels and Pirelli P-Zero tires conceal Jaguar’s High Performance Braking System and bespoke (custom, to us Yanks) suspension system. Under the hood is a supercharged V8 engine with direct injection which makes 542 HP and 461 lb-ft of torque. Power is routed to the rear wheels by way of a 6-speed automatic transmission with Jaguar Sequential Shift. 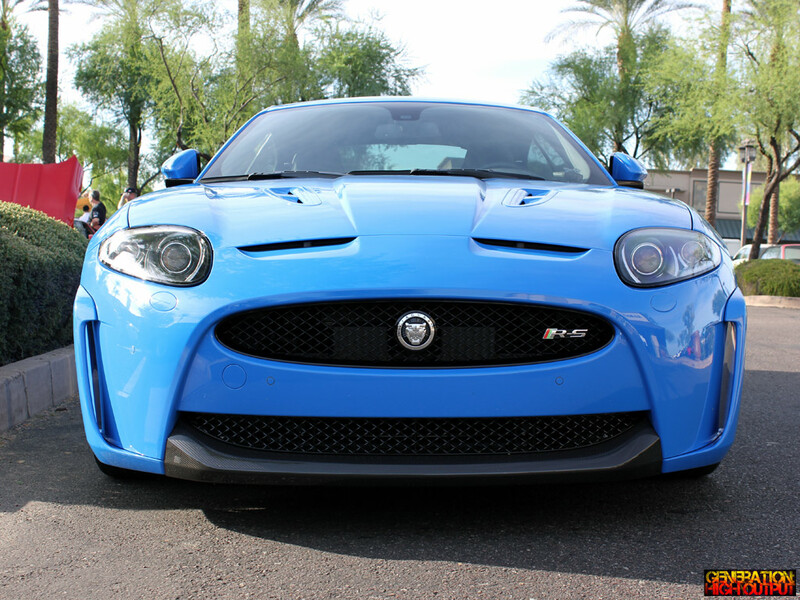 This combination allows the Jag to leap from 0-60 in just 4.2 seconds and top out at 186 mph! The XKR-S is the fastest production car Jaguar has ever made (not counting the uber-rare XJ220 supercar, of course). However, this high-performance Jaguar hasn’t forgotten its roots: it’s still a grand tourer at heart. The car packs a host of amenities that make it perfect for long-distance driving. These include an active sports exhaust which is quiet when cruising the highway and still roars when you get on it. There are 16-way power adjustable seats, a 7-inch touchscreen navigation system, and a 525-watt audio system from Bowers and Wilkins. I’m excited about this new high-performance car from Jaguar, however at $132,000 USD, it is definitely out of my price range. 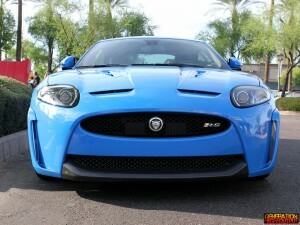 Still, no matter how you look at it, the Jaguar XKR-S is one bad kitty. This entry was posted in Cars and Coffee and tagged exotic car, grand touring, jaguar, sports car, tata motors, XKR-S by Trevor Freeman. Bookmark the permalink.